Notes: Tarbert Castle is located on the southern shore of East Loch Tarbert, at Tarbert, Argyll, Scotland, at the north end of Kintyre. 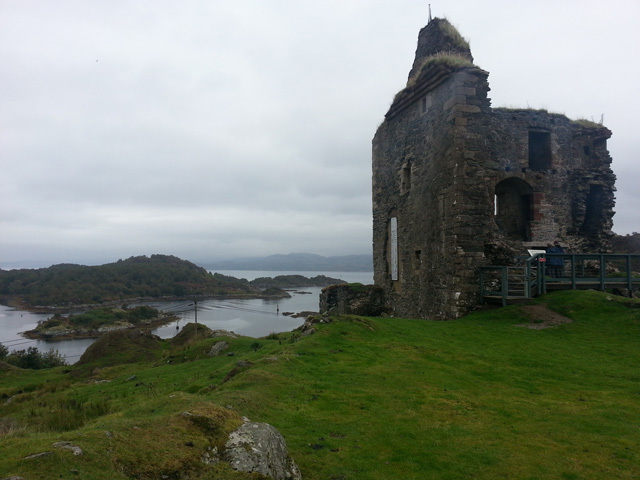 Tarbert Castle was a strategic royal stronghold during the Middle Ages and one of three castles at Tarbert. The castle overlooks the harbour and although pre 14th century in construction, the tower dates back to 1494 and the visit of James IV to the Western Highlands.